Our computational proposal with Helmut and others has just been approved! We will receive 67 million core-hours to study RNA-protein interactions within a prokaryotic ribosome. Thanks to the Leibniz Rechnenzentrum in Munich, Germany, our simulations of more than 2 million atoms will not take ages and I'll bring some news soon, hopefully. 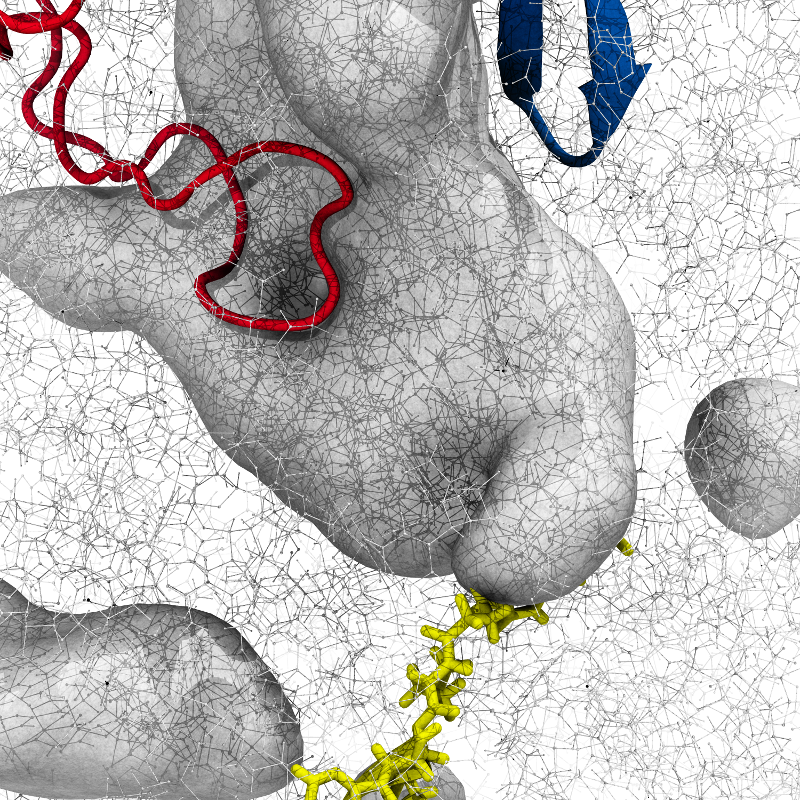 The figure shows the tRNA at the catalytic center of the ribosome (yellow), the exit tunnel for newly synthesized proteins (gray surface), and two ribosomal proteins (red and blue). The lines with dots are chemical bonds between atoms, just to put it all into context.